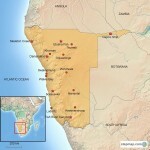 Located in southwest Africa, Namibia is a large and sparsely populated country, mainly arid, sharing borders with Angola to the north, Botswana to the east, South Africa to the south and, in the Caprivi Strip, a narrow panhandle of Namibian territory jutting from the northeast corner of the country, with Zambia and Zimbabwe. 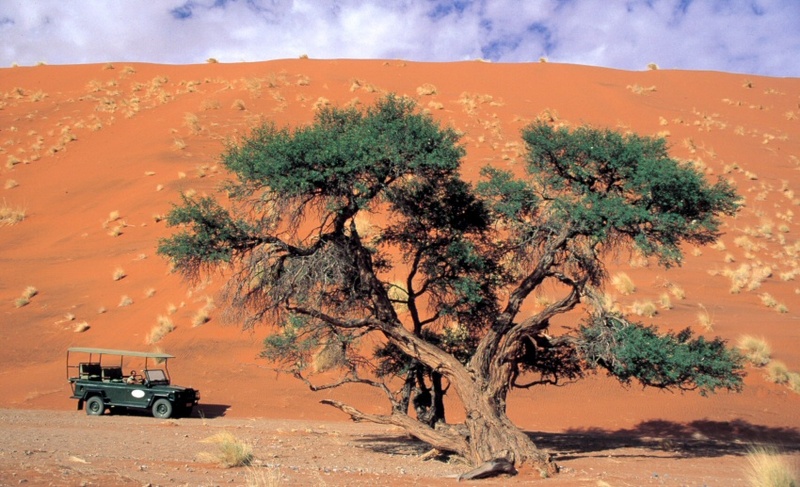 Due to the arid conditions, Namibia offers a unique and unusual African safari experience. 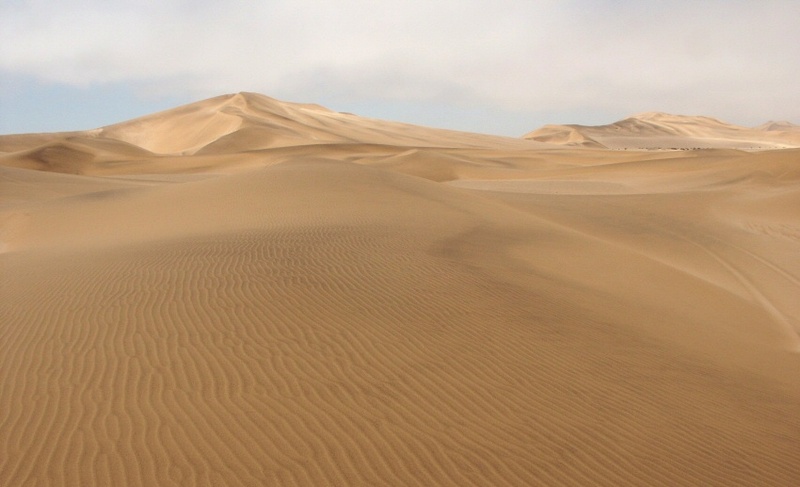 The desert landscape poses different challenges to wildlife. 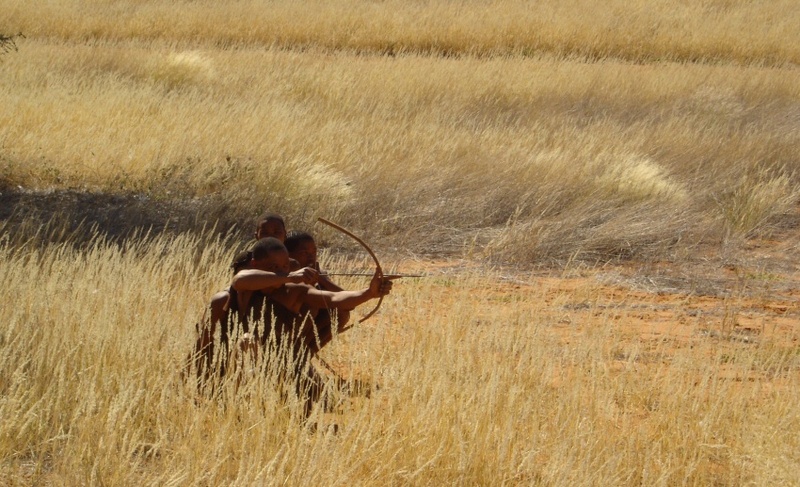 The Namibia desert elephants, for example, are unique within Africa. 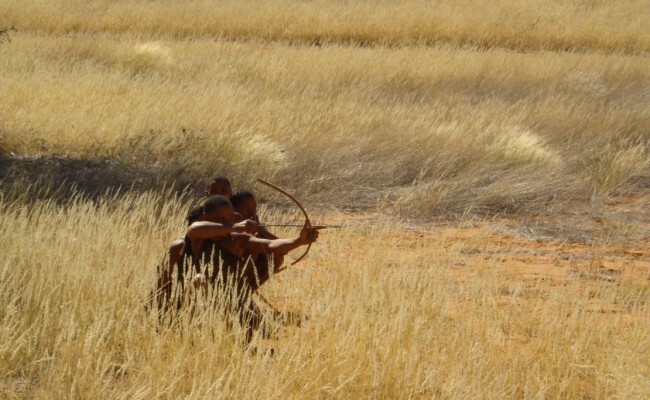 The most famous safari destination within Namibia is the Etosha National Park, located in the North of the country. 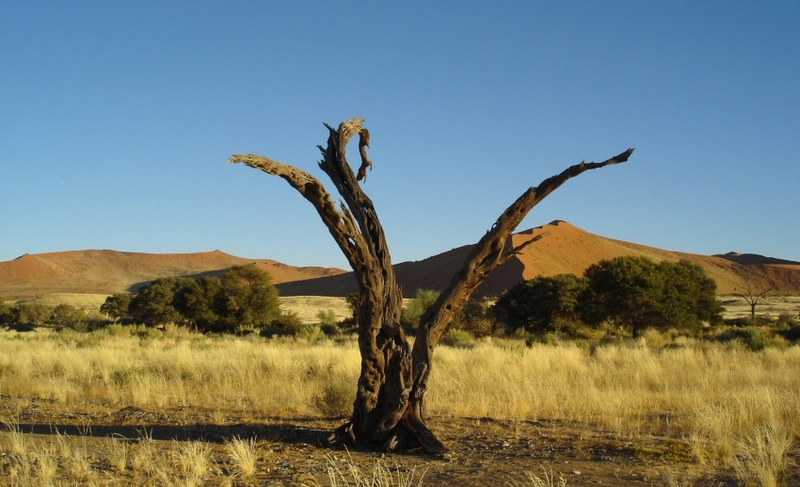 Namibia, just like South Africa, lends itself to self drive itineraries, although the roads are mostly not tarred, yet the road network is very good. We recommend a 4×4 or at least a 2×4 to navigate the roads. The Sossusvlei, Namibia’s famous highlight in the heart of the Namib Desert, is a huge clay pan, enclosed by giant sand dunes. 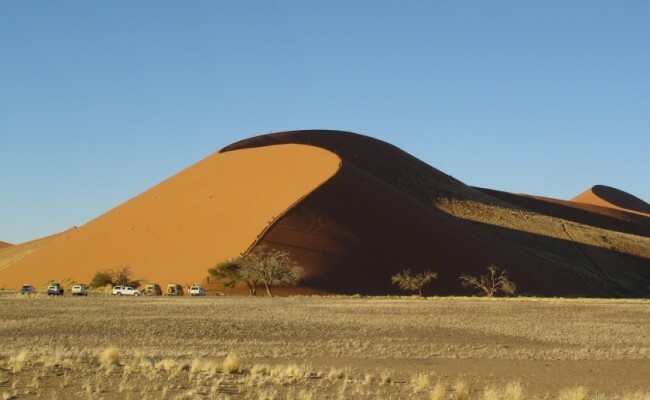 The oldest dunes are those of a more intense reddish color, which are among the highest in the world; many of them are above 200 metres, the highest being the one nicknamed Big Daddy, about 380 metres high. The pan or vlei only fills with water after heavy rains, which are rare. When the vlei does get filled the turquoise lake will remain for quite some time due to the layers of clay. 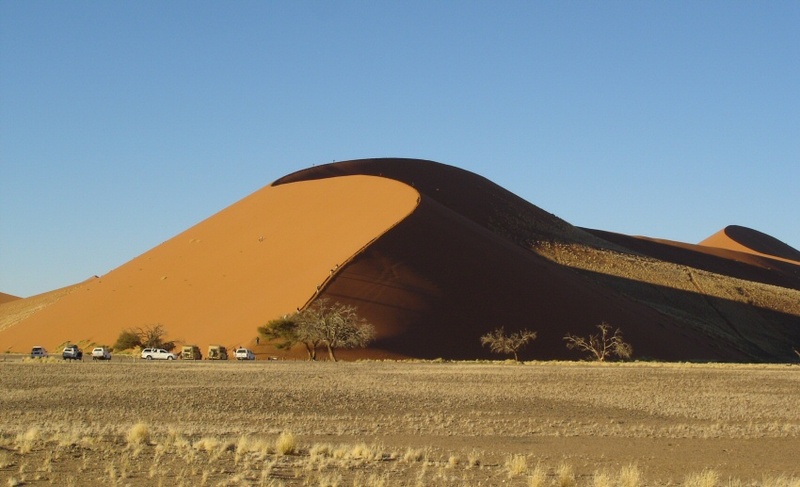 The dunes of the Namib desert have developed over a period of many millions of years and are definitely one of the highlights of a Namibia itinerary. There is a large selection of accommodation available in the Sossusvlei area, from smaller owner-run guesthouses, to tented camps to wonderfully luxurious lodges. The Etosha National Park is located in the North of the country and is dominated by a massive mineral pan, which covers about 25% of the national park. The Pan itself is believed to have originated over 12 million years ago as a shallow lake fed by the Kunene River. But now the water levels have lowered substantially so that the pan only holds water for a brief period each year – a wonderful place for flamingos and pelicans in the summer. Throughout the year Etosha is a wonderful destination for Big 5 game viewing, and the park is known for its endemic species of impala, the black faced variety and is said to have the tallest elephants in Africa, measuring up to 4m at the shoulder. The park is also well recognised as being one of the last wild sanctuaries of the endangered black rhino making it a fascinating safari destination. Swakopmund is a beach resort and an example of German colonial architecture, which was founded in 1892 as the main harbour for German South-West Africa, and a sizable part of its population is still German-speaking today. 20 km from Swakopmund lies Walvis Bay: The bay has been a haven for sea vessels because of its natural deepwater harbour, being the only natural harbour of any size along the country’s coast. 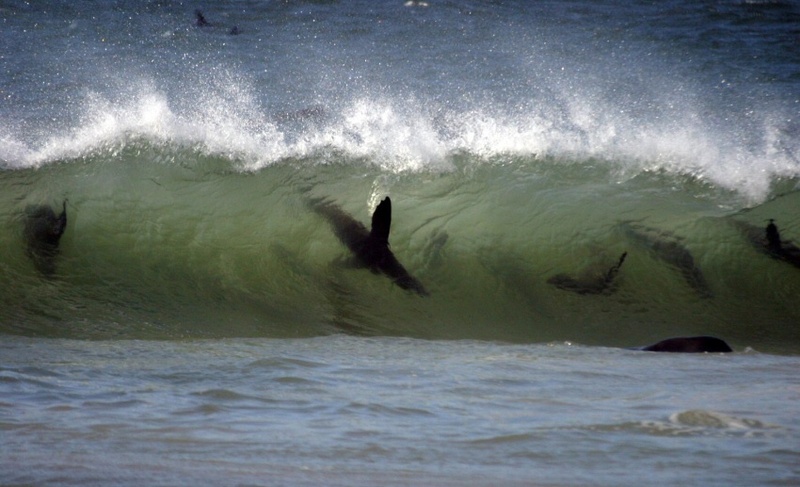 Being rich in plankton and marine life, these waters also drew large numbers of whales, attracting whalers and fishing vessels. Nowadays it is famous for its seal and dolphin cruises and other activities like sand boarding on Dune 7. The Fish River Canyon is located in the south of Namibia. It is the second largest canyon in the world and the largest in Africa, as well as the second most visited tourist attraction in Namibia. It features a gigantic ravine, in total about 160 km long, up to 27 km wide and in places almost 550 metres deep. The Fish River is the longest interior river in Namibia. 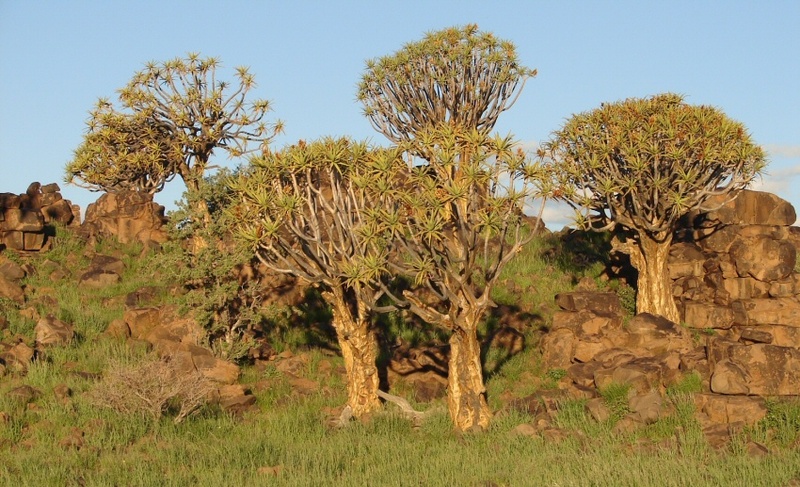 It cuts deep into the plateau which is today dry, stony and sparsely covered with hardy drought-resistant plants. The river flows intermittently, usually flooding in late summer; the rest of the year it becomes a chain of long narrow pools. 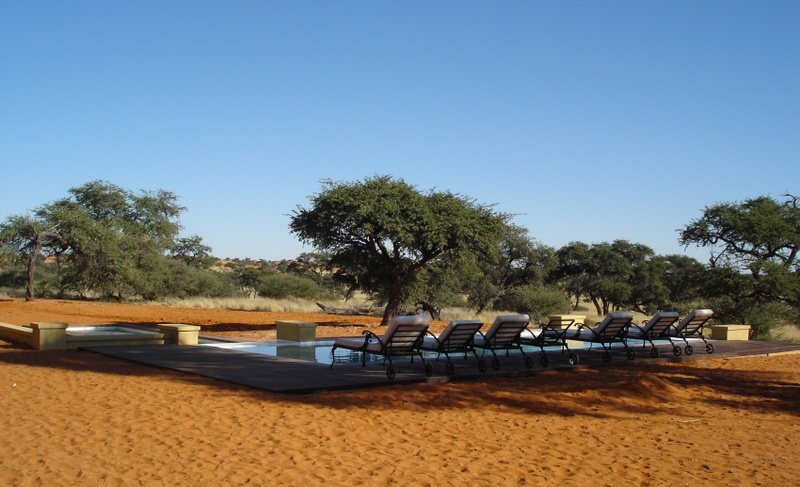 At the lower end of the Fish River Canyon you can find the hot springs resort of Ai-Ais. 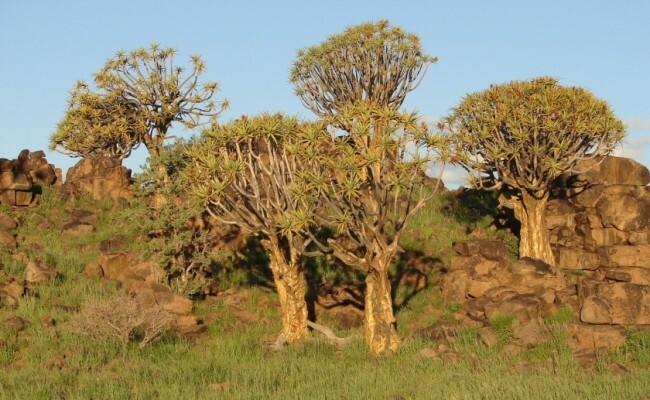 Damaraland is an extraordinarily scenic area in the west of the country, a huge, untamed, ruggedly beautiful region, featuring prehistoric water courses with open plains and grassland, massive granite koppies and deep gorges. Towards the west, the geography changes dramatically with endless sandy wastes, that incredibly are able to sustain small, but wide-ranging, populations of desert-adapted elephant, black rhino, giraffe, ostrich and springbok. 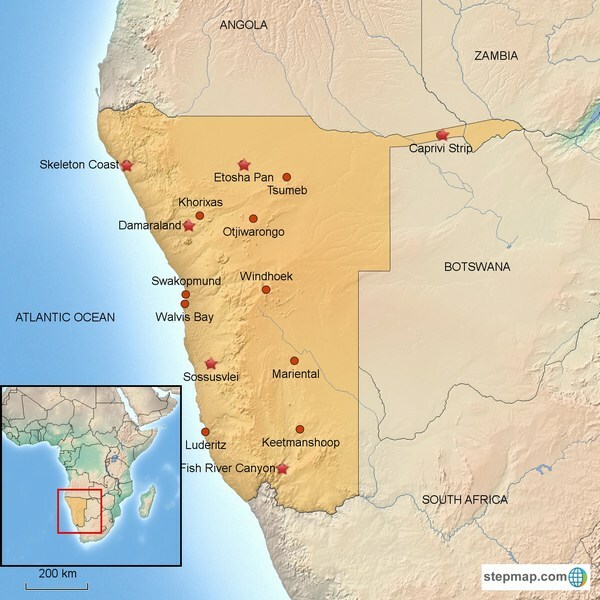 The name Damaraland is still commonly used in tourism circles, although the entire region has now been renamed; the southern section now lies in the Erongo region while the north forms part of the Kunene region. 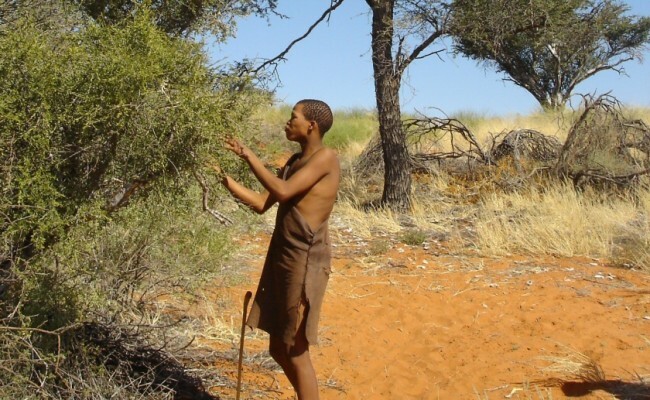 Highlights of the area include The Brandberg, Namibia’s highest mountain and home to the famous ‘White Lady’ Bushman Painting, Twyfelfontein, a wonderful rocky outcrop with thousands of Bushman engravings, as well as the Petrified Forest, which is millions of years old.